The BRICS grouping was originally advanced largely as an investment benchmark of emerging markets with the highest growth potential. The emergence of BRICS funds targeting asset allocation in the respective economies experienced all the possible highs and lows in the past decade, with recent periods eliciting a moderation in investor appetite for the asset class on the back of the mounting geopolitical risks (particularly with respect to Russia and China) and the lack of growth vigour in the majority of BRICS economies. In seeking higher returns and high growth performance economies a number of groups alternative to BRICS have been proposed, including the MINT, “the next eleven”, etc. But perhaps another venue to explore could be to look at BRICS regional partners and their economic blocks as a source for alternative or complementary investment strategies and country groupings. Accordingly, the alter egos or the “first derivatives” of the BRICS would be their partners in key regional blocks or continental alliances with a substantial size of the financial market/economy and scope for playing catch-up to the BRICS core: Argentina in South America, Kazakhstan in the CIS, Pakistan in South Asia, Egypt in Africa, Indonesia in East Asia. The unifying acronym for this group of countries is InPEAKs - the countries in this group may be viewed as the “second generation” of BRICS countries coming from the same regions as the BRICS themselves. A moderate variation of the composition of this group would involve the selection of the largest economies by GDP in the respective regions: Egypt in Africa, South Korea in East Asia, as well as Pakistan in South Asia, Argentina in South America, and Kazakhstan in the Eurasian Economic Union. The resulting acronym – PEAKS – is suggestive of a strategy of portfolio allocation in EM and frontier markets that targets an optimal derivative set of countries from the main regions/continents of the developing world. The value of deriving a grouping such as PEAKS/InPEAKs lies in the expansion of the BRICS investment domain to include more markets, resulting in superior optionality, longer investment horizons and risk diversification. The latter is particularly important given the high correlation of some of the BRICS markets to each other via the commodity price cycle. Most importantly, however, a set of regional BRICS proxies may be a useful instrument for episodes when BRICS are hit with geopolitical risk. A case in point is the most recent escalation of sanctions and risk vis-à-vis Russia, which led portfolio investor to redirect part of their funds into Kazakh Tenge assets (high yield with lower geopolitical risk). Finally, a regional derivation of BRICS’ alter egos may be motivated by financial integration pursued by BRICS economies in their respective regions – in particular, Russia together with Kazakhstan and other economies of the Eurasian Economic Union is targeting the creation of a common financial market platform by 2025. Admittedly, the scope of regional derivatives for BRICS is still narrow, but the whole purpose of such an extended BRICS+ approach to selecting the next generation of BRICS markets is to foster the development of new emerging markets and allow for the regional partners of the BRICS core to use the advances of BRICS in reaching their modernization goals. Such a paradigm implies that the advancement of new emerging markets will need to rely in part on the creation of favourable regional conditions and spillovers from increasing financial activity and integration of neighbouring partners. Fostering “new BRICS” will need to rely on the cooperation of emerging markets in regional alliances, while elements of regional competition/cooperation in terms of building new financial centers could also play a role in enabling EMs attain global-level heights. And while the composition of the “PEAKS” as the optimal set of emerging markets may change, the approach that expands the possibility set for investment beyond the BRICS core to cover varying BRICS+ alternatives may prove to be a fruitful way to look at the longer term evolution of the emerging markets assets class. 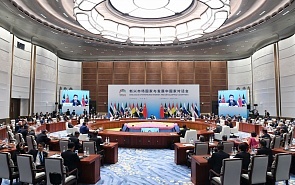 Incidentally, China’s decision to invite representatives of Tajikistan, Guinea, Egypt, Mexico and Thailand to the BRICS+ summit in Xiamen in 2017 may be viewed as the first effort in implementing such an approach to exploring the modalities of building the new generations of BRICS frontier and emerging markets from across the globe. In this respect it is noteworthy that shortly after the spotlight of the BRICS+ summit in Xiamen Tajikistan placed a Eurobond on favourable conditions and obtained its first sovereign credit rating from major international rating agencies. Going forward in the future the annual BRICS summits could perhaps feature not only the traditional regional partners of the hosting country and the BRICS+ circle of heads of regional integration groups, but also representatives of those frontier and emerging markets that via cooperation with the BRICS may significantly improve their standing in global markets and the world economy.